The writer, a former columnist at the Jerusalem Post, was fired from his job on August 29 for a blog post entitled “The awful, necessary truth about Palestinian terror,” which he published on his personal website, Israel Reconsidered. Click here for excerpts from the blog post that got Derfner fired. Why did I do it? Why did I write that the occupation justifies Palestinian terror, even the recent killing of eight Israelis near Eilat? It wasn’t inevitable, but I suppose it wasn’t exactly accidental, either. In my thinking about politics, I’m always going back and forth between my principles of justice and my allegiance to Israel, trying to see how they can be reconciled. For the last few years, my most urgent political message has been that the occupation oppresses Palestinians, and that oppressed people who cannot get their freedom peacefully can be expected to try by violent means, so for the sake of justice and peace on both sides, Israel should get rid of the occupation. In my Jerusalem Post columns, I tried to put this point across by asking readers: If anybody did to us what we do to the Palestinians, what would we do? What did we do, or at least what did Menachem Begin’s Irgun and Yitzhak Shamir’s Lehi undergrounds do, when the Jews in Palestine were under British rule? My point is not that Palestinians should use terror to fight the occupation, it’s that Israelis should end the occupation. They should see that it’s unjust to the Palestinians and consequently a threat to us. This upsets a lot of readers, of course, and I was called a lot of bad names in the comment’s section, but the attacks would generally roll off my back because I felt I could defend my argument to anyone. As an opinion writer, I want to provoke thought, to take arguments as far as they’ll go, to break new ground on every outing. I also have a secondary, political goal, even though I know it’s fanciful to think I can advance it by writing — to change Israel, mainly by ending the occupation. Lots of Israeli opinion writers share that political goal, and we are a very frustrated bunch. When the eight Israelis were killed near Eilat, I was in Sweden on vacation with my family. I came back a couple of days after and wanted to write a strong blog post. I have a lot of thoughts about the use of terrorism in a good cause — Palestinian independence, Jewish independence, anti-colonialism, anti-apartheid — but I always told myself not to treat this subject in a column because I wouldn’t have the space to fully explain myself, to put in all the caveats, to make a point that covered all the pros and cons and conditions in the right proportions. If I tried to write about something so big and so raw as terrorism in the abbreviated, narrow way a column demands, a lot of people could get the wrong idea, and in Israel that could be a real problem. God, I wish I hadn’t forgotten that resolution. When I came back from vacation after the Eilat attack, the strongest blog post I thought I could write was to challenge the taboo against suggesting that Israel bore any responsibility at all for Palestinian terrorism. But how could I make my point in a way I hadn’t before? What could I write that would be new and thought provoking? I was sitting in my workroom at home. I didn’t want to spend too long on it. And I jumped right into the post by taking an extremely large, easily-misunderstood idea — that the stifling of freedom breeds rebellion, which I believe — and expressed it in a way that was so crude that it conveyed something I don’t believe at all. It took me a few days to realize, but what I wrote in that August 21 blog, “The awful, necessary truth about Palestinian terror,” grossly oversimplified what I think of Palestinian terror in a way that was, as some critics said, “obscene.” It also stood in head-on opposition to my allegiance to Israel. The words “justified” and “right,” as in having a right to do something, are laudatives, the opposite of pejoratives — they carry a positive connotation. When you write that Palestinians are justified or have a right to use terror against Israelis, the implication is that terror against Israelis is a good thing. I tried to balance one principle with another, but the problem is that they don’t balance. They contradict each other. When an Israeli says Palestinian terror is justified, and then says he’s against it, it doesn’t make sense. And when I led off the essay by justifying the killing of Israelis, even if I made it clear that my purpose was to end that killing, and wound up the piece by saying the attackers in Eilat were also justified, then all my assurances of not wanting to see Israelis hurt by terror and being prepared to do anything to stop it, along with my assertion that I did not want to give aid and comfort to Israel’s enemies — while all true, became hopelessly obscured. What’s left in the minds of people who don’t know my previous work, or who hate my previous work, is that I justified terror against Israelis. I know, and many, many other people know, that I didn’t mean to do such a thing. But I did. The blog post was a disaster in every possible way. It deeply offended and outraged many people. The apology I published last Friday, however, softened many people’s feelings, convinced them that I’d at least meant well. To my own reading and that of many other readers, my decent intentions were apparent in the original post. But in Israel and the Diaspora, this view has been drowned out in the uproar. I’ve read that some of my fellow leftists think this affair may actually help make it easier to talk with Israelis about the connection between the occupation and terror. Maybe. I don’t know. I’ve been talking to Israelis about that connection for many years, and what this affair teaches me is how not to do it. I’ve been taking the argument further and further and further, and now I’ve crashed into the wall. I don’t think my opinions have changed, but I have to find new ways to articulate them, ways that reconcile my principles of justice with my allegiance to Israel, instead of sacrificing one or both out of recklessness. I have some thinking to do. Meanwhile, another thing I’ve learned is that when you’re a provocative, left-leaning blogger in Israel, an editor just might come in handy. This story "Why I Wrote That Palestinian Terror Is Justified" was written by Larry Derfner. 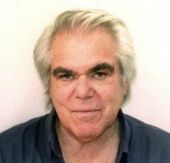 Larry Derfner writes at LarryDerfner.com.